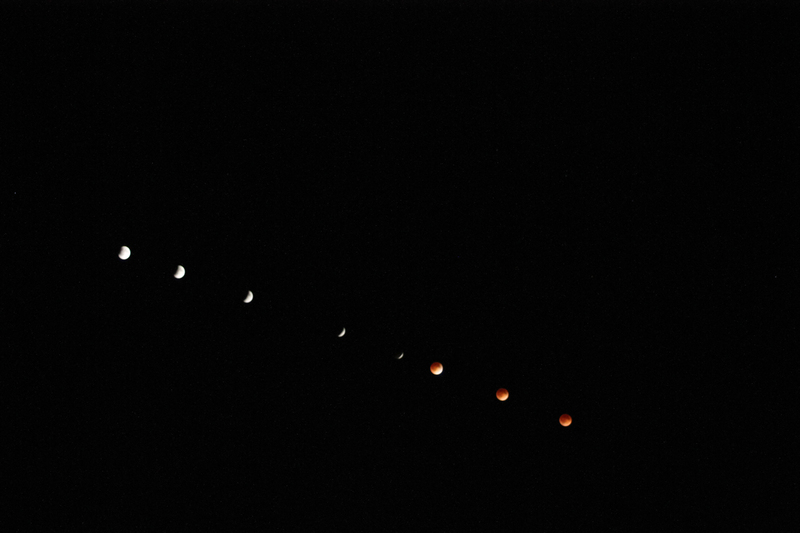 I had a chance to observe the April 15 lunar eclipse, my first in New Mexico! Weather was perfect. Unfortunately mid-eclipse occurred about 1:45 AM local time so I just could not stay up for the exit run. I decided to try capturing one of those typical sequences of images that you often see with eclipses, both lunar and solar where all of the eclipse phases appear in 1 image. I have a Canon Eos T3 with 35mm lens which is reasonably wide angle but actually was not wide enough to capture the whole eclipse from beginning to end. I was hoping to get some mountain landscape in the background but the Moon was too high when it started. Capturing one of these is fairly straightforward but there is a trick to it when processing. Of course, you need a tripod for your camera and you need to know what the track of the Moon will be over the course of the next hour or so. It’s helpful to test things out ahead of time. Just set your camera up where you think it should be and then just wait about 15 minutes and look again. 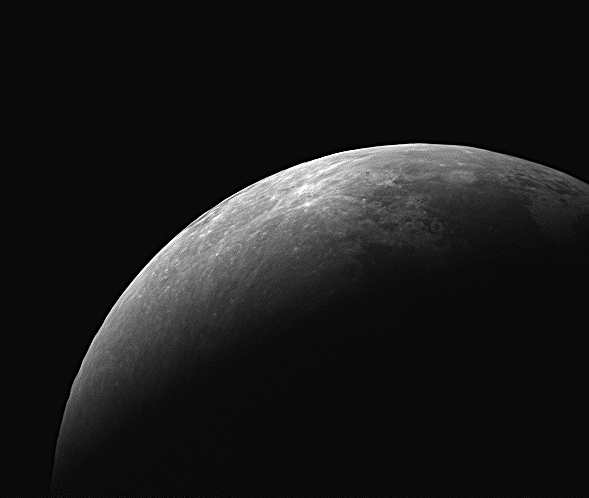 You will see the Moon in a location further west and then you can tell if the camera is properly oriented. I positioned the Moon at the far end of the frame on the left where the Earth’s umbra was just entering the eastern limb of the Moon. As you can see I could have started a little higher on the left and maybe would have had more time for additional images. Once you have the camera properly positioned you just leave it alone on your tripod and every 15 minutes you take another image. I have a usb connection from the camera to the laptop and take exposures that way so vibrations are limited. Once you have all of your images you simply merge them together in Photoshop. I still use the older version CS3 and it works fine. You don’t have to worry about processing your individual frames since we are not concerned here about resolution on the Moon. We are only interested in seeing the progression. 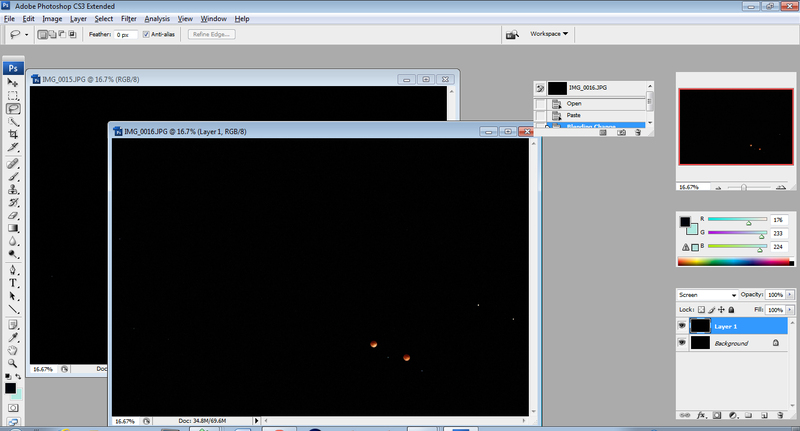 Open the last 2 images of your sequence in Photoshop and click on the second to last image. Next click on the second to last image, make sure it is highlighted and is the foreground image, and go to “select > all” at the task bar on top. You will then see the “crawling ants’ around the image. Second to last image selected. Note crawling ants. Next click on “copy” and then select the final image and “paste” into that image. At first you will not see the final image but only the copied image. Not to worry. 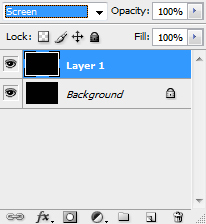 Go to the layers tab which should be in the lower right. You will notice the default “normal” is displayed. Change this in the drop down to “screen” and make sure “opacity” level is set to 100%. Once you do this you will see the 2 images side by side at full brightness! Now simply take each image and repeat the process, copying and pasting into the final image and setting the layers tab to “screen” each time. 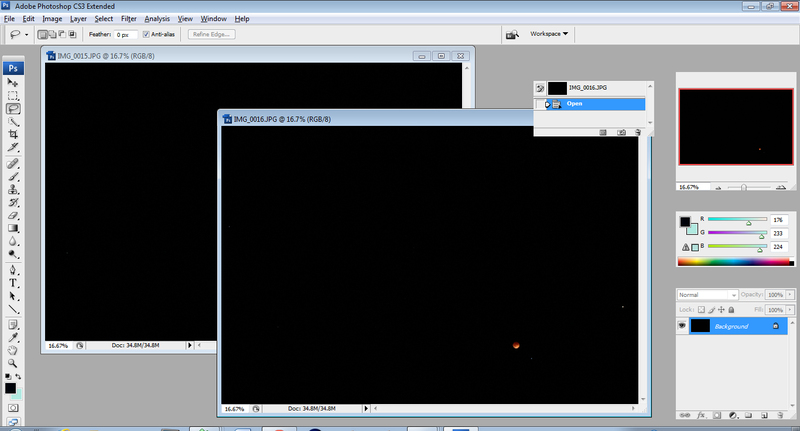 Once all of the images have been placed, then flatten your image by going to “layer > flatten image”. 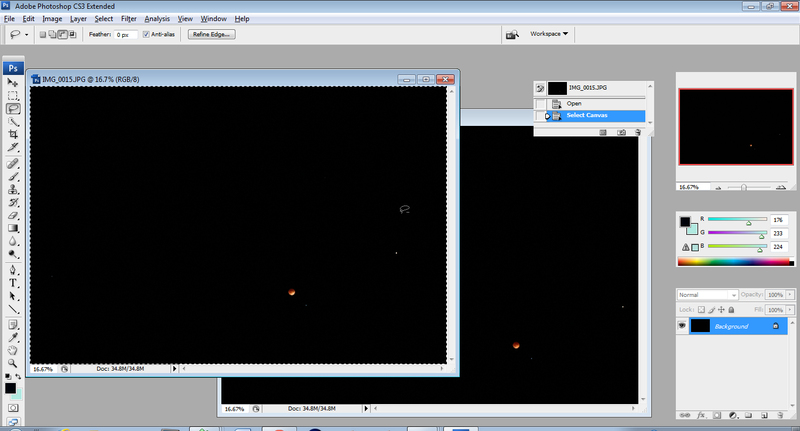 Finally you can eliminate the stars and other objects (in this case I think Spica and Mars were nearby!) in the flattened image by using the clone and stamp tool.